The majority of businesses operate in highly competitive environments and workplaces are constantly being challenged to do more with less. They are tasked with increasing revenue, servicing more customers, and being more innovative – and doing it all with less money and resources. As a result of these demands, hundreds of thousands of employees are struggling with work-related stress, depression, and anxiety. These high-stress levels are counterproductive to business goals as employees dealing with stress are less effective, creative, and efficient in their work. Ultimately a high-stress work environment causes low employee engagement, poor workplace morale, and less productivity and this drives up the costs associated with employee absenteeism and burnout. Mindfulness is being integrated into many workplaces to combat workplace pressures as it enhances stress management and promotes employee self-care. Major employers like Google, GlaxoSmithKline, and KPMG have offered mindfulness meditation to reduce stress and improve productivity. Practising mindfulness may also improve the overall workplace by promoting communication and enhancing relationships. Mindfulness is being present and aware. When you are mindful, you are aware of yourself and your surroundings and you are able to own your thoughts and feelings. When employees are stressed at work, they experience emotions like anger, sadness, and feeling out of control. By practising mindfulness, employees can disrupt the negative emotional cycle that can result. They can recognise the negative emotions, understand them, and productively address them. Mindfulness does not eliminate stress, but it helps employees manage the stress by thinking in healthier, less stressful, ways. One-time events are one of the biggest mistakes that employers make with workplace wellness training. One-time events or education initiatives do not yield long-term permanent changes. For example, if you provide your employees with physical health assessments, but do not follow up with resources like nutrition experts or physical activity programs, employees are unlikely to make changes. Similarly, a one-time education session with a mindfulness expert will not likely have a lasting impact. 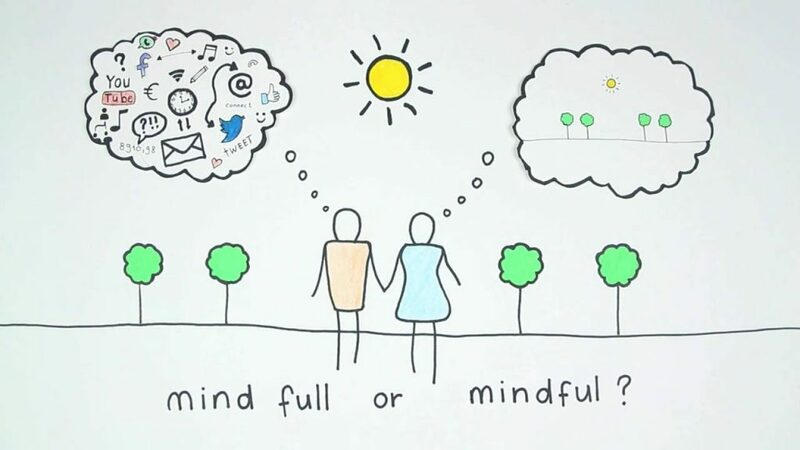 Mindfulness needs to be a part of the organisations greater wellness philosophy and be something that is championed and valued on an ongoing basis. When an employee considers incorporating mindfulness into their lives, the first thing they are going to need is time. They will need the time in their schedule so that they can step away from their work and practice mindfulness. Managers and supervisors need to be educated on mindfulness so that they understand the benefits of giving employees time away from their work to practice. Having a dedicated space for mindfulness practice is also important. The more accommodating and supportive the workplace is of mindfulness; the more likely employees will engage in it. Employees may be reluctant to embrace mindfulness if it’s not supported from the top down. Employees need to feel comfortable and encouraged to practice mindfulness and take time out from their work to do so. Leaders should be encouraged to help build a culture of mindfulness by attending mindfulness training, promoting on-site facilities, and talking to their staff about the benefits of mindfulness. In today’s competitive business world, organisations need to capitalise on every opportunity to keep their employees stress-free, engaged, and productive. Mindfulness training in the workplace is one way that organisations can help employees manage workplace stress and be happier and healthier.